Same size as Maybell, but heavier (darn brass) – 71 grams. Really BIG sound due to the brass dome, adjustable ringer. 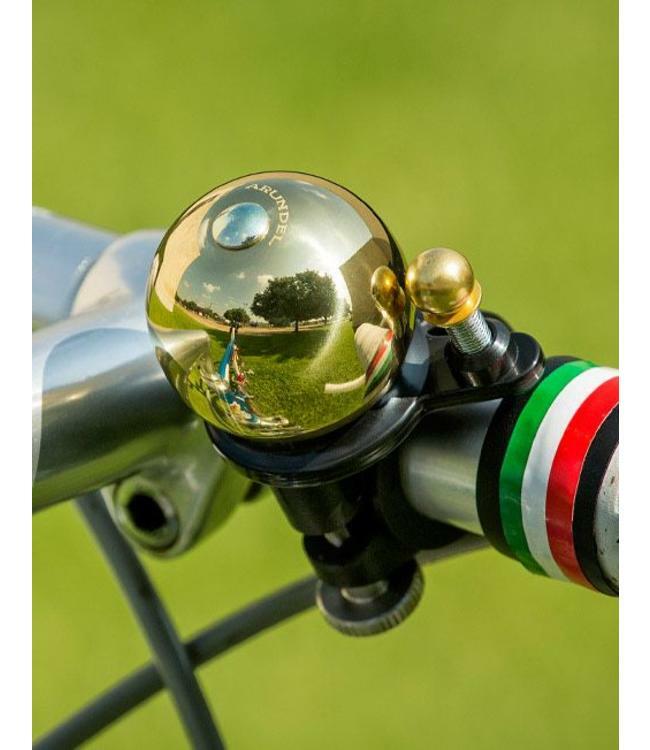 It’s not easy to gain the attention of other cyclists, runners and walkers without making noise and bells beat yelling. There is actually an art to making a nice sound come out of something so small. Stainless steel thumbscrew so you can install or remove the bell with no tools; fits 31.8 with a shim to fit 28.6.